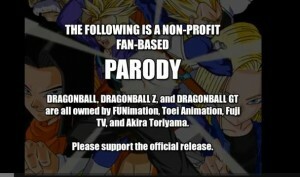 The gods that are Team 4 Star have released the latest episode of Dragon Ball Abridged which kicks off the very long awaited Cell Saga which brings us about half way through DBZ. The new episode if 10 minutes long and about 10 seconds too short, watch it and you will find out why. The episode continues its successful streak of making fun of how lame Yamcha is and introduces Vegeta to his pink shirt. We also get to see the new look Cyborg Freiza and King Cold before Trunks comes in and makes them into space sushi.